Engineering management is that unique management skill which is essential to guide engineering or technical employees and projects. The dynamic and successful engineering managers must have a necessary skills and expertise in training, mentoring, and motivating technical professional. In short it can be said that, Engineering Management is a program prepared especially for engineers and students of scientific field who choose to add management and leadership skills to their technical undergraduate base. Master in Engineering Management (MEM) is a two year, four semester course of Purbanchal University. No other universities except Purbanchal University offer this course. This course is under the faculty of Science and Technology. In first two semesters, compulsory courses are taught but in third semester two elective subjects out of 6 are to be chosen by students. Fourth semester is all about research and dissertation. The detail fee structure of studying MEM can be learned from the college or university concerned. The students will have an ability to apply knowledge of engineering, management, science and mathematics in solving problems of engineering management. The students will have an ability to design a system, component, process, conduct experiment, analyze and interpret data within the realistic constraints of economy, environment, society, politics, ethics, etc. The students will have an ability to function on the multidisciplinary teams, communicate effectively; identify, formulate and solve engineering problems by understanding the professional and ethical responsibility. The students will have ability to engage in lifelong learning and professional development and understand the impact of engineering solutions in local and global context. He/ She should have Bachelor Degree in Engineering Degree or its equivalent from PU (Purbanchal University) or a University recognized by PU. 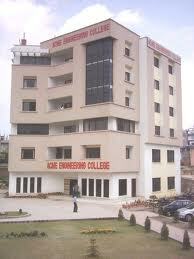 He/ She must pass entrance exam taken by Purbanchal University. Each question contains 1 mark. The Master of Engineering Management (MEM) has tremendous job opportunities. It is the blend of engineering and management. Unlike other courses, it provides practical business perspective courses that are important for technical managers. The MEM graduates can pursue wide variety of careers. They get jobs as application engineer, associate marketing manager, automation engineer, business analyst, client service analyst, director of business strategy, financial analyst, IT manager, manager of corporate strategic planning, product strategy analyst, plant manager, project manager, product manager, consultant, system engineers, stress analyst engineer, technology licensing specialist etc and many more. This course is for engineers in order to help them understand the management knowledge. So, they can do all work of engineer plus the work of management. The job opportunities for MEM graduates are also high in foreign market. Instead of hiring two professional one from management and another from engineering, the technical industries prefer to hire engineers who can do dual work. This is what MEM does.